With such a complex personal tax regime in the UK and the inherent potential for error, self-assessment has become a huge administrative burden for company directors and small business owners. Although HMRC have stated an intention to simplify the tax system, their underlying aim to clamp down on all perceived instances of tax avoidance means that anyone is subject to heavy penalties for miscalculations or errors. Financial penalties can disrupt your personal savings and investment plans, and brings rather unwelcome attention from HMRC. You need a reliable tax expert to help you avoid this situation, and ensure your tax affairs are in order. Handpicked Accountants can help you as a company director or small business owner. We have developed long-standing business relationships with accountants in your area, and can offer a reliable recommendation based on our previous working history. Rather than simply processing your tax affairs on a practical level, your tax expert will be able to proactively offer advice, taking account of your business issues when correct to do so. We can confidently refer you to a trustworthy professional. 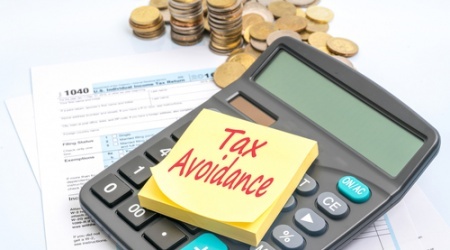 Tax evasion and tax avoidance are terms that are easily confused, but it’s important to know the difference if you’re to stay on the right side of the law.